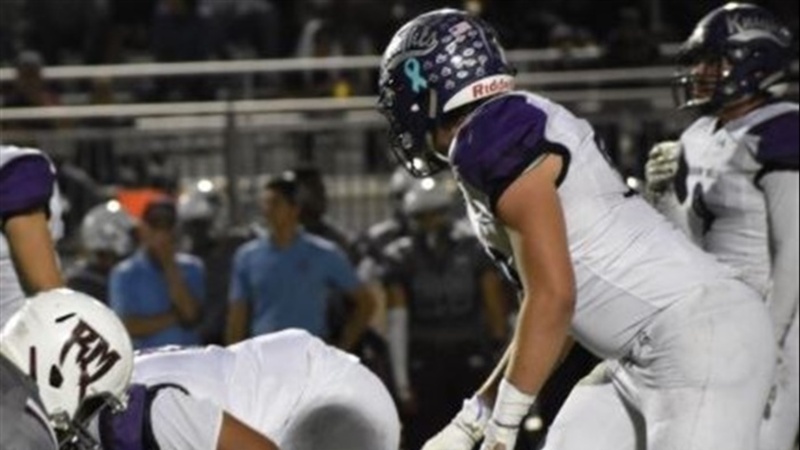 Shadow Hills (Indio, CA) High School defensive end Jake Shipley received an offer from Cal last week. The Bears joined ASU, Oregon, Fresno State, and Nevada as programs that have extended offers to the 6’5 245 athlete. Shipley found a lot of success this year accumulating 73 total tackles, 13 TFL’s, 4 sacks, and also added 10 catches for 192 yards and two touchdowns. He attributes his success to his offseason workouts and mindset. “The things that changed from my sophmore year to my junior year were my size and my mindset,” said Shipley.